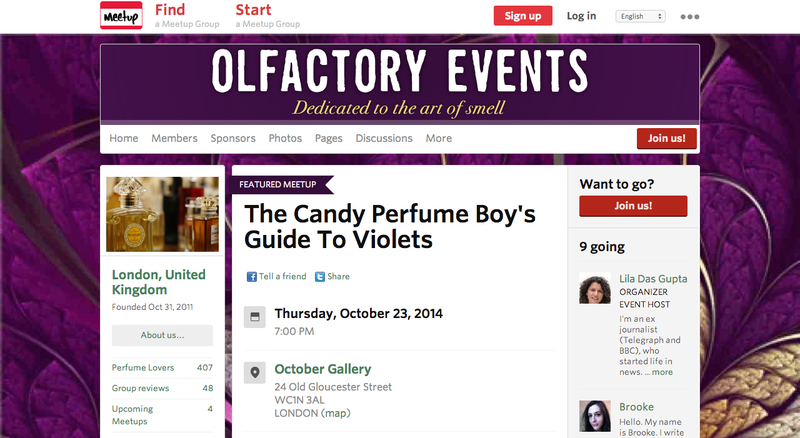 Image is a screenshot of the Perfume Lovers London Meet Up page. Posted in Event, Jasmine Awards, The Candy Perfume Boy's Guide to... and tagged Event, Jasmine Award, Lila Das Gupta, Perfume Lovers London, The Candy Perfume Boy's Guide to Violet, The Candy Perfume Boy's Guide to..., Violet. Bookmark the permalink.